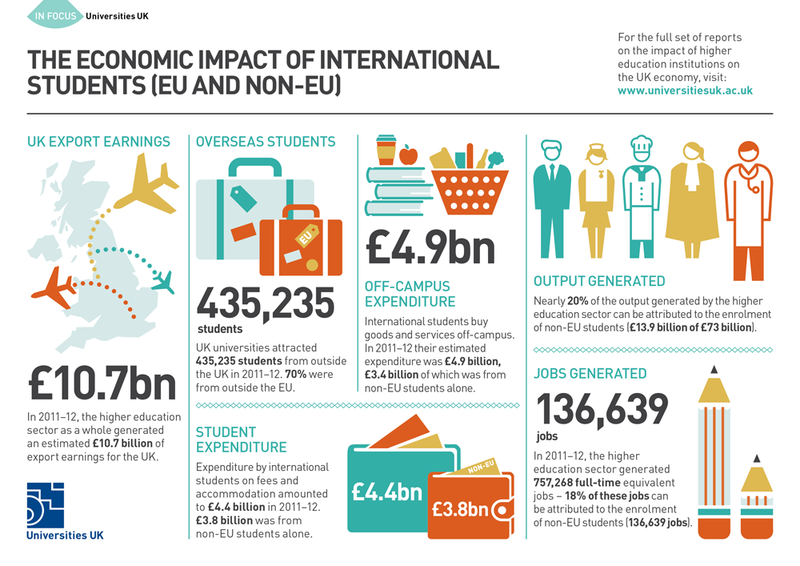 In 2011–12, there were 435,235 international students contributing ~17.7 billion USD to the UK economy in tuition fee and related living expenses, according to a recent report by Universities UK entitled “the impact of the higher education sector on the UK economy.” In specific, non-EU international students paid $5.4 billion in tuition fees to the universities. While, one out of six students enrolled in the UK higher education is from outside the UK, the number of international students in the UK have declined in last couple of years, indicating that the British universities will feel the impact on their budgets. This relates to the previous discussion on foreign students becoming integral to budgets of universities in the US. Next Why applications from Indian students to US graduate programs increased?